Dyna 110 3CV (X 85) (610 cm³, 28 KM; wb: 213 cm) – end of prod. 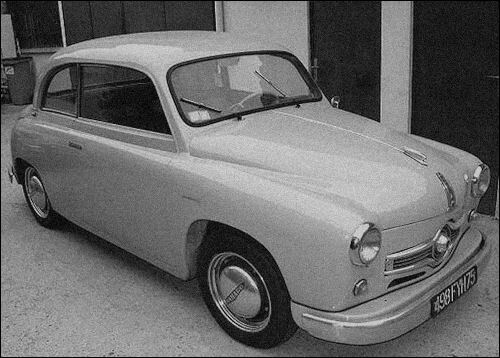 Dyna 120 4CV (X 86) (745 cm³, 38 KM; wb: 213 cm) – end of prod. 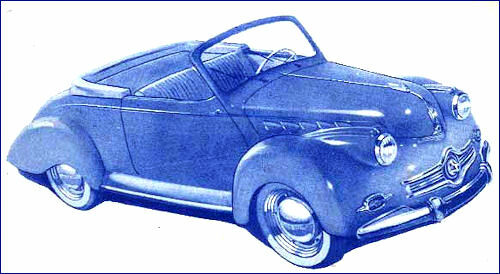 In February the new optional engine, the Sprint 4CV with a modified camshaft and a dual carburetor becomes available. In April, the roadster Dyna Junior X was launched. 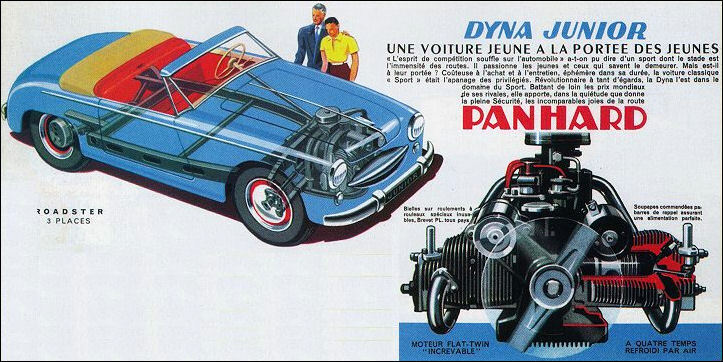 It is based on a Dyna X chassis and unlike the sedan has a steel two pasenger body. 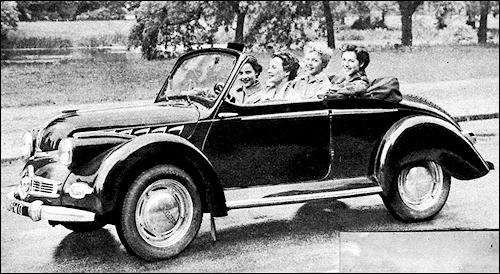 The trunk is accessible by folding down the bench seat. 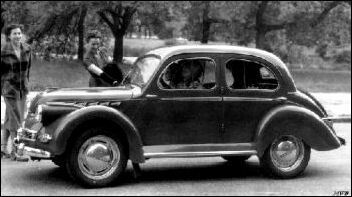 It comes with 4 CV and 4 CV Sprint engines. 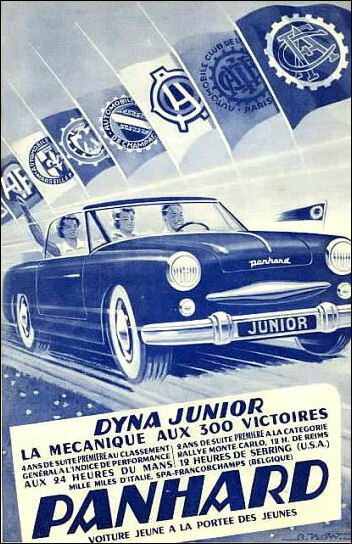 In June, the Dyna X type 130 was introduced with a 5 CV 851 cc engine. 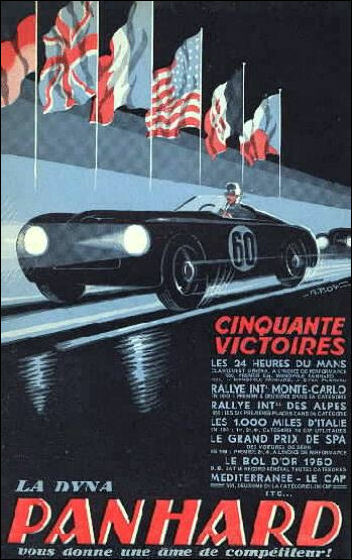 Again 130 refers to the top speed of the car – 130 km/h. Scarlette was presented in the autumn. 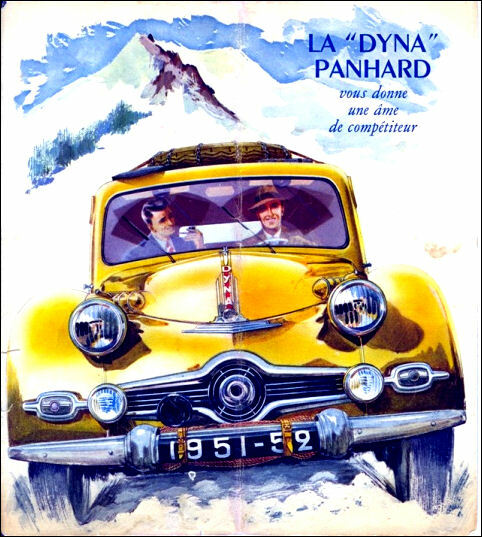 It is the result of the collaboration between Panhard and SIOP, the owner of Rosengart . 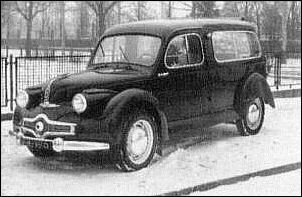 The new model has the body of the Rosengart Ariette and the chassis and engine of the X87 Dyna Panhard. In December, types 110 and 120 were deleted.